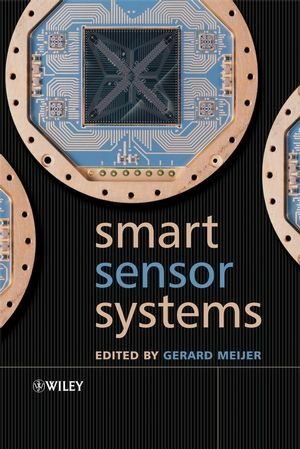 With contributions from an internationally-renowned group of experts, this book uses a multidisciplinary approach to review recent developments in the field of smart sensor systems, providing complete coverage of all important system and design aspects, their building blocks and methods of signal processing. It examines topics over the whole range of sensor technology from the theory and constraints of basic elements, the applied techniques and electronic, up to the level of application-orientated issues. State-of-the-art techniques for designing smart sensors and smart sensor systems, with measurement techniques at system level, such as collaboration and trimming, and impedance-measurement techniques. Sensing elements and sensor systems for the measurement of mechanical quantities, and microarrays for DNA detection. Circuitdesign for sensor systems, such as the design of low-noise amplifiers, and measurement techniques at device level, such as dynamic offset cancellation and optical imagers. Implantable smart sensors for bio-medical applications and automotive sensors. Smart Sensor Systems: Emerging Technologies and Applications will greatly benefit final year undergraduate and postgraduate students in the areas of electrical, mechanical and chemical engineering, and physics. Professional engineers and researchers in the microelectronics industry, including microsystem developers, will also find this a thorough and useful volume. Professor Gerard C. M Meijer, Electronic Instrumentation Laboratory, Delft University of Technology, The Netherlands. 1 Smart Sensor Systems: Why? Where? How? (Johan H. Huijsing). 1.2 Definitions for Several Kinds of Sensors. 2 Interface Electronics and Measurement Techniques for Smart Sensor Systems (Gerard C.M. Meijer). 2.2 Object-oriented Design of Sensor Systems. 2.3 Sensing Elements and Their Parasitic Effects. 2.5 High Accuracy Over a Wide Dynamic Range. 2.6 A Universal Transducer Interface. 2.7 Summary and Future Trends. 3 Silicon Sensors: An Introduction (Paddy J. French). 3.2 Measurement and Control Systems. 3.5 Examples of Silicon Sensors. 3.6 Summary and Future Trends. 4 Optical Sensors Based on Photon Detection (Reinoud F. Wolffenbuttel). 4.2 Photon Absorption in Silicon. 4.3 The Interface: Photon Transmission Into Silicon. 4.4 Photon Detection in Silicon Photoconductors. 4.5 Photon Detection in Silicon pn Junctions. 4.7 Photon Detectors with Gain. 4.9 Summary and Future Trends. 5 Physical Chemosensors (Michael J. Vellekoop). 5.5 Examples of in situ Applications. 6 Thermal Sensors (Sander (A.W.) van Herwaarden). 6.1 The Functional Principle of Thermal Sensors. 6.5 Sensors Based on Thermal Measurements. 6.6 Summary and Future Trends. 7 Smart Temperature Sensors and Temperature-Sensor Systems (Gerard C.M. Meijer). 7.2 Application-related Requirements and Problems of Temperature Sensors. 7.4 Temperature-sensor Features of Transistors. 7.5 Smart Temperature Sensors and Systems. 7.6 Case Studies of Smart-sensor Applications. 7.7 Summary and Future Trends. 8 Capacitive Sensors (Xiujun Li and Gerard C.M. Meijer). 8.2 Basics of Capacitive Sensors. 8.3 Examples of Capacitive Sensors. 8.4 The Design of Electrode Configurations. 8.5 Reduction of Field-bending Effects: Segmentation. 8.6 Selectivity for Electrical Signals and Electrical Parameters. 8.7 Summary and Future Trends. 9 Integrated Hall Magnetic Sensors (Radivoje S. Popovi´c and Pavel Kejik). 9.2 Hall Effect and Hall Elements. 9.3 Integrated Hall Sensor Systems. 9.4 Examples of Integrated Hall Magnetic Sensors. 10 Universal Asynchronous Sensor Interfaces (Gerard C.M. Meijer and Xiujun Li). 10.4 Dealing with Problems of Low-cost Design of Universal Interface ICs. 10.7 Summary and Future Trends. 11 Data Acquisition for Frequency- and Time-domain Sensors (Sergey Y. Yurish). 11.2 DAQ Boards: State of the Art. 11.3 DAQ Board Design for Quasi-digital Sensors. 11.4 Universal Frequency-to-digital Converters (UFDC). 11.6 Summary and Future Trends. 12 Microcontrollers and Digital Signal Processors for Smart Sensor Systems (Ratcho M. Ivanov). 12.2 MCU and DSP Architectures, Organization, Structures, and Peripherals. 12.3 Choosing a Low-Power MCU or DSP. 12.5 Analog Comparators, ADCs, and DACs as Modules of Microcontrollers. 12.6 Embedded Networks and LCD Interfacing. 12.7 Development Tools and Support. Appendix B Conversion for non-SI Units. Smart Sensor Systems Visit for solutions to problems laid out in the book.